Mike Anderson of Collision Advice will offer the latest in his series of free “Learn to Research, Research to Learn” webinars with a session conducted on Monday, November 26, focused on using Subaru’s Technical Information System (STIS). 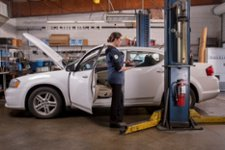 Anderson of Collision Advice launched his series of webinars earlier this year to help shops more easily research and use OEM collision repair information. Webinar attendees will be able to text-in questions during the live event. Attendees will need to use their computer audio for the webinar; no phone dial-in will be available. As with the five previous sessions in the series, this month’s webinar will be available for later viewing, but registering now ensures you will be notified when it is posted if you miss the live event. Previous webinars can be viewed at https://tinyurl.com/MikeOEM.